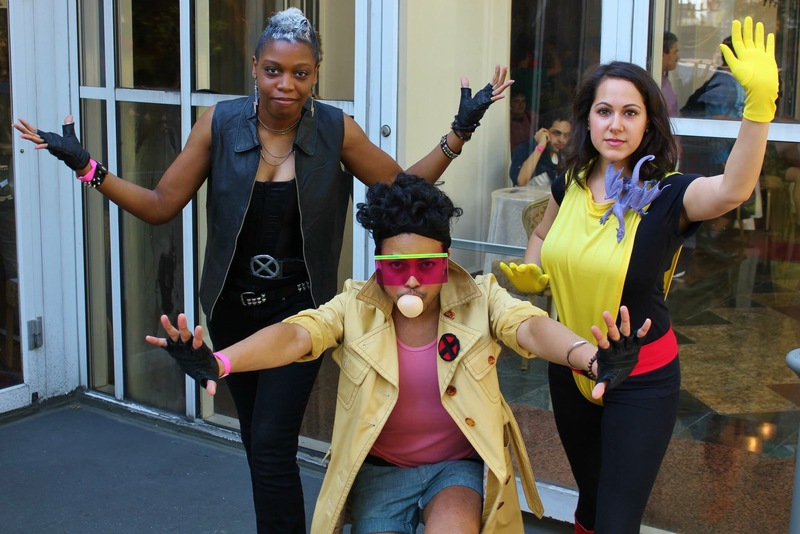 In the 80s, Kitty was the youngest member of the X-Men and mentored by Wolverine. 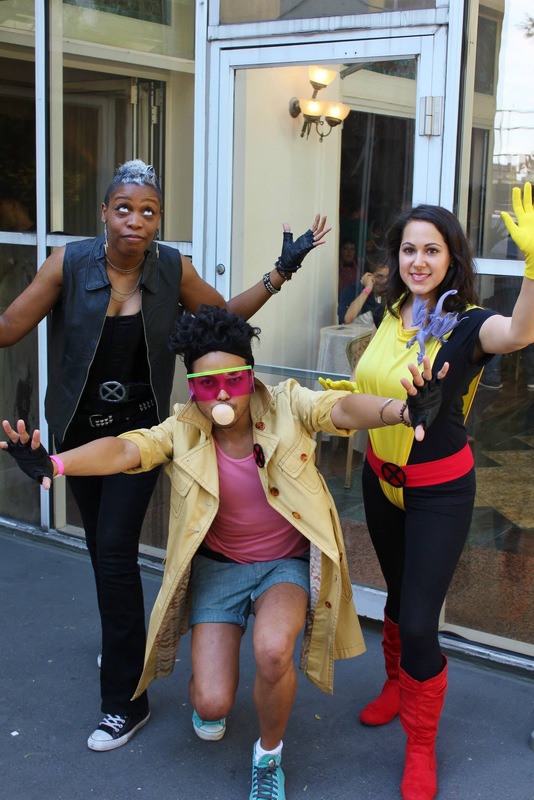 (If this sounds familiar, Rogue and Jubilee were also young X-teens mentored by Wolvie). 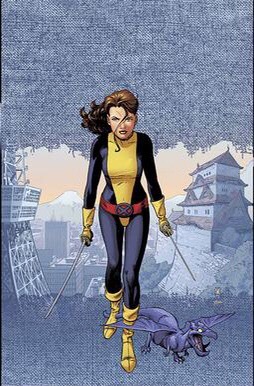 Kitty had ninja skills, a cool power, was a legit genius, and before she joined the X-Men, she did figure skating. She also has A PET DRAGON. When I was a kid, I used my meager allowance to buy Excalibur every month. 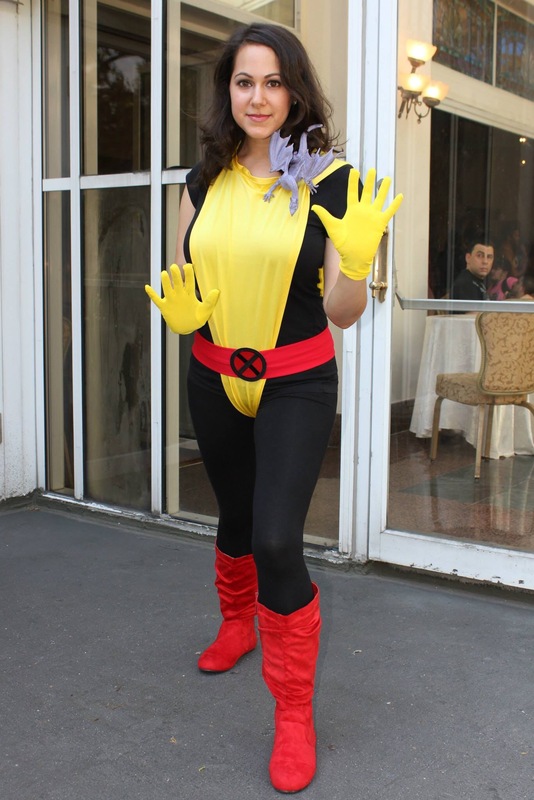 In it, Shadowcat went on interdimensional adventures with Nightcrawler, Phoenix, Megan, Captain Britain, and her pet dragon Lockheed. 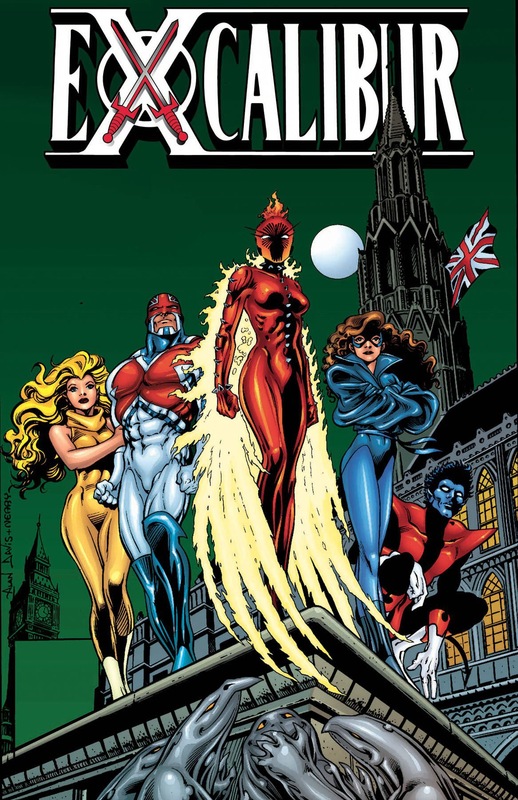 Chris Claremont’s Excalibur series had action, adventure, humor, and heart. It mixed fantasy and sci-fi. And with Alan Davis as a regular artist, it was beautifully illustrated. I loved it. Kitty’s blue pirate-inspired Excalibur outfit is one of my dream cosplays. I don’t know if I’ll ever make it. 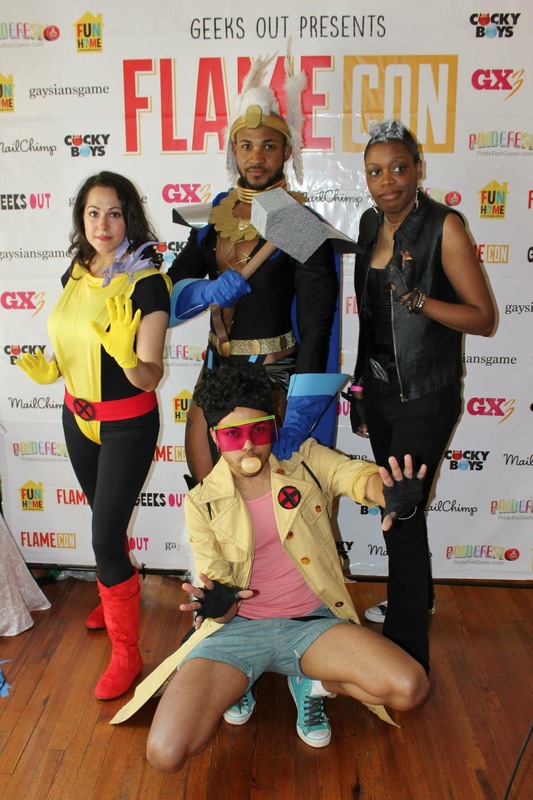 But with the encouragement and help of my friends Andre and Kyrk, I was able to make one of her more recent X-costumes last year for Flame Con in NYC. It ended up being such a simple costume, which was good because it was stupid hot in the convention hall and we were all sweating like crazy.